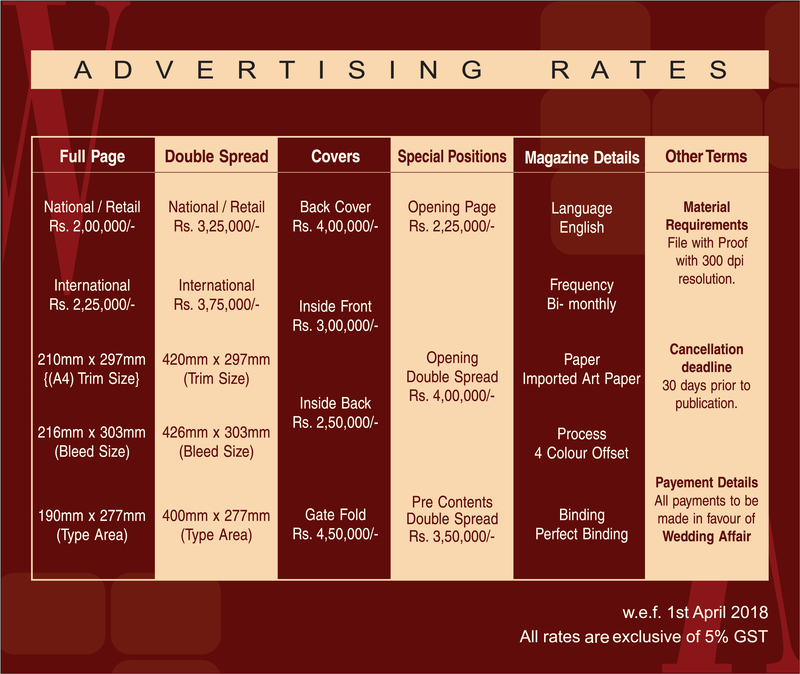 Advertise with the International Indian Wedding Magazine | Wedding Affair var admin_url = "https://weddingaffair.co.in/wp-admin/"
A fashion lifestyle magazine, with weddings at its core, Wedding Affairs is read by the young, young at heart and upwardly mobile individuals. Seventy percent of its readership constitutes young men and women, aspiring for the best in life. And when marriage beckons, their aspirations peak. They have the purchasing powerand are influential decision makers. The magazine is of special interest to the fashion , fitness, beauty and grooming, jewellery, wedding planning, travel and home makers segments. Dry Skin Blues taken care of! For the Glowy Winter Bride.